Welcome to the Halifax Seaport! The Halifax Seaport is the entry point for cruise passengers visiting Halifax. 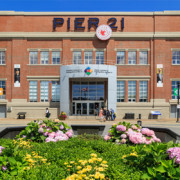 Explore history at the Canadian Museum of Immigration at Pier 21. The Halifax Seaport is a vibrant arts and cultural district. Visit our galleries. 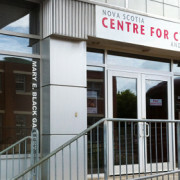 Home to NSCAD University’s state-of-the-art Port Campus. 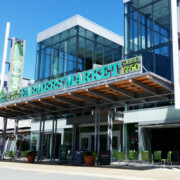 Halifax Seaport Farmers’ Market – the oldest continuously running farmers’ market in North America. The Halifax Seaport is home to Garrison Brewing Co., an award-winning, independent craft brewery. Overlooking Halifax Harbour, the Cunard Centre provides 45,000 square feet of flexible event space. The Halifax Seaport is a vibrant arts and cultural district found at the south end of the Halifax waterfront. Extending from Piers 19 to 23, you will find artisans, retailers, cruise terminals, event facilities, cafés, galleries, offices, a museum, a university and a farmers’ market. This district has been redeveloped to showcase local talent and is now a popular destination for locals and visitors alike. We invite you to discover the Halifax Seaport!